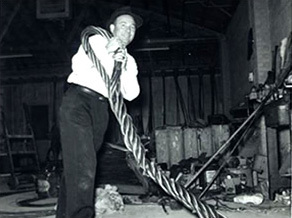 About Us | John Sakash Company Inc.
Our founder, John Sakash, loved the challenges of heavy lifting. One customer at a time, he built our reputation as one of the most excellent and complete rigging distributors in the United States. 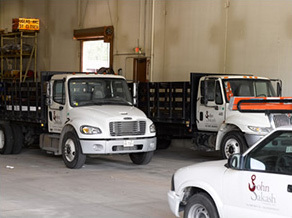 We serve clients in the construction, manufacturing, steel, utility, marine, towing, scrap and entertainment industries with standard and custom rigging equipment, seminars, on-site inspection, and training. We service what we sell. Our delivery service, a 24-hour hotline, and walk-up counter give you full access to the largest combined inventory in the Midwest. Rental service is available. "We deliver where you want it – when you want it – exactly like you want it."